In Russia, they take their mind sports seriously. Case in point: the Russian Sports Federation’s (RSF) chess program has produced many of the world’s finest players. Similarly, the RSF’s go program has produced top Western professionals through their partnership with the Hankuk Kiwon, producing players such as Alexander Dinerchtein 3P (“breakfast” on KGS) and Svetlana Shikshina 3P, and continues to produce promising up-and-comers such as Ilya Shikshin 7D. 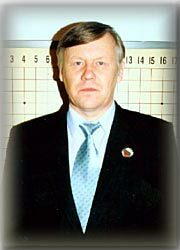 If asked to name their mentors, all would certainly mention Valery Shikshin, an Honored Trainer of the Russian Federation (and as you may gather, father of both Svetlana and Illya). Shikshin has been teaching and coaching Russian go for 25 years, and has developed a set of axioms and principles that he sets forth in this four-volume “Theory and Practice Series,” now available exclusively in the US through GoGameGuru. 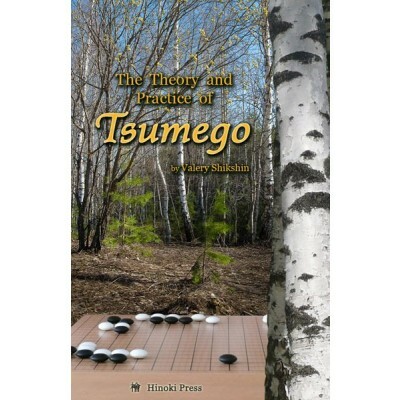 Volume 1, The Theory and Practice of Tsumego, includes more than 300 original life-and-death problems, many from Russian master games. Starting with the basic shapes, Shikshin takes the reader all the way through corner positions, side formations, and on into the intricacies of seki and ko. I found the chapter on seki to be uniquely systematic in its understanding of how these strangely symbiotic shapes arise. While Volume 1 of “Theory and Practice” is a new approach to an area that has been widely studied, Volume 2 — “The Theory and Practice of Semeai“ — is surely unique in English. Here Shikshin takes the same systematic approach to capturing races, illustrating a few dozen basic principles with numerous problems and game examples. As in Volume 1, the principles are illustrated by hundreds of problems and examples, many from actual games. Two other volumes will complete the series in the next few months – The Theory and Practice of Shapes, and The Theory and Practice of Analysis. These materials helped to produce some great Western go masters – they are surely a worthy entry into the Western go canon.